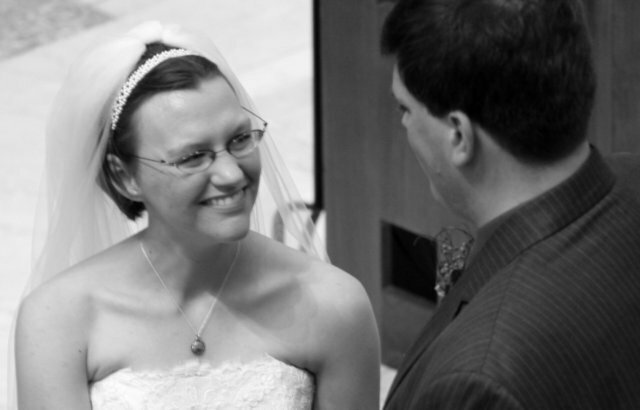 Today my lovely bride Susan and I celebrate 13 years of wedded bliss. 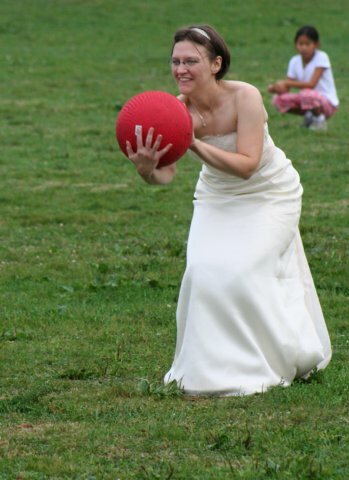 It’s good to remember that day in 2005 when we had over 100 of our friends and family present, sailed on a boat, played kickball, danced, and ate yummy cake. It was a beautiful day. The 4748 days in-between have been pretty good too! Jacobs has written excellent books about his lifestyle experiments of trying to follow all the explicit rules of the Bible and reading the entire Encyclopedia Britannica. Both books offer funny observations and lots of tidbits of arcane knowledge. In this book, Jacobs applies a similar approach to genealogy, with much of the book structured around attempting a Guinness World Record for a Global Family Reunion, inviting everyone Jacobs is genetically related to (which could be everyone in the world). Along the way, Jacobs examines traditional genealogical pursuits of family historians, and the newer methods of genetic testing and collaborative websites, and the tensions among them. Jacobs visits with Mormon genealogists, attends the Hatfields and McCoys reunion, explores the practice of polyamory, goes to a twins convention, and interviews celebrities who are his distant relations. This book feels weak compared with Jacobs other books, as if he was seeking out other genealogical things to do to fill in blank spaces around his story of the family reunion. Maybe it would’ve been more focused as shorter work rather than a book? City Stories is a new semi-regular feature where I will write short expository pieces and vignettes inspired by cities I’ve lived in and visited in various places of the world. This series is inspired by the writings of Max Grinnell, The Urbanologist. The first City Story takes place in Bay Ridge, a neighborhood of Brooklyn, New York. My grandparents lived in the most boring place in the world. Correction, my grandparents’ apartment was the most boring place, set in the middle of the world’s most exciting and vibrant city in the world. My grandparents’ apartment was on the 23rd floor of the western building of the Towers of Bay Ridge, right where the Belt Parkway splits from the Gowanus Expressway. My sister and I spent many a childhood weekend seeking some escape from the boredom that permeated from every corner of that apartment, including through the plastic-covered sofa. As a child visiting this apartment – especially when it wasn’t Christmastime when at least there were new toys to play with – entertainment was hard to come by. Television was the preferred source of diversion, but it wasn’t always available to us as my grandparents were watching their programs, or otherwise forbidden us from watching. Taking out the garbage was always a welcome chore as it meant being able to drop bags of rubbish one by one down a chute to a compactor in the basement. After disposing our trash, we could keep the door to the chute open and if we were lucky we could see trash falling from higher stories and take the chance of trying to catch some. Eventually, one of our grandparents would have to take us outside. If it was our grandmother, we would typically end up in the Tower’s playground. The centerpiece of this playground was a geodesic half-dome one could climb up and dangle by one’s knees, knowing that should one fall, one’s head would be protected by a thin layer of rubber spread over the asphalt. I always preferred it when our grandfather took us out. We would escape the Brutalist hellscape of the Towers for a stroll into the more human-scaled row houses and shops along Third Avenue. Our destination was The Three Jolly Pigeons. 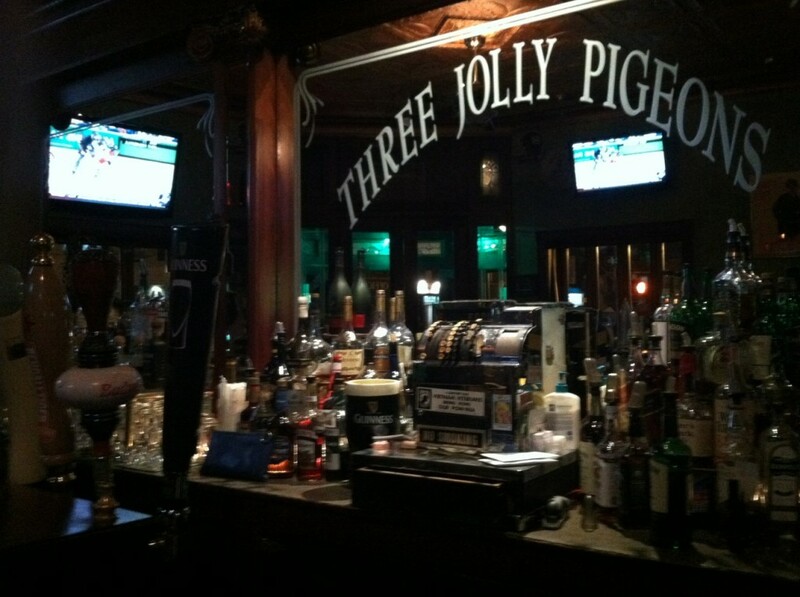 In the official nomenclature of restaurateurs, The Three Jolly Pigeons is classified as an “Old Man Bar.” True to form, the Pigeons (as my grandfather always called it) featured a long bar of a dark wood with a line of rickety stools, lots of oak paneling, and stained glass windows and light fixtures. The back room was separated from the main bar by a particularly attractive wood-panel and stained-glass partition. My grandfather was an old man so naturally an “Old Man Bar” suited him. But I’m going to tell you something about my grandfather that I didn’t know. My grandfather was an alcoholic, and a particularly troubled one at that. One of my earliest memories of him was visiting the hospital after he crashed his car on Brooklyn Bridge. The “car crash” and “drunk driving” didn’t connect for me until years later. Children were not allowed to visit the patients’ rooms, so instead we stood outside waving at the window where purportedly my grandfather was waving to us. I was never quite sure that I actually saw him or was even waving at the correct window. The stories I would later hear of his drunken anger and violence never matched the cuddly old man who’d bring us to this lovely oasis, buy us a glass of Coke, and give us quarters for the arcade games that we could enjoy while he spoke to his bookie. Yes, this is the other thing that I didn’t know at the time. It was not normal for one’s grandfather to regularly meet with a bookie, and I’d learn later that the other adults in our family were not aware of this habit. This is probably because he never said to anything like “Don’t tell anyone I’m seeing my bookie,” because then we totally would’ve ratted him out rather than going along as if it were normal. But let’s return to those glasses of Coke and arcade games. The Coke was dispensed from a fountain over the rocks into a small glass. I can’t verify this, but it is my belief that the Coke served at the Three Jolly Pigeons was the best tasting Coke anywhere. The bartender would set our Cokes at the end of the bar for us to pick up and from there we made out way through the partition to the back room. The entertainment equipment in the back room changed from time to time, but the mainstay was a coin-operated bowling game. The shuffleboard-style game was built on a long waist-high table (or shoulder-high table if you were under ten) along which one would slide a heavy, metallic puck. The bowling pins hung from a cabinet at the far end, and the puck wouldn’t actually come in contact with the pins, but you could knock them over if the puck slid over what looked like giant staples under each pin. The surface of the table was very slick and one could make the heavy puck move wickedly fast, smashing into the wall at the far end with a satisfying crash, and rebounding into one’s palm. Over the years, I got very good at this game. Fueled by Cokes and quarters, I smashed my way into the ranks of shuffleboard bowling greats. Or so I’d like to imagine. I never saw another game like this until about a decade later while in a pub in St. George, Bermuda. I challenged my compatriots to a game and drawing on my skill honed at the Pigeons, I won a round of beer. In another timeline, I may have gone pro as a shuffleboard bowler. In my memory, it was always daylight when we went to the Pigeons. The late afternoon sun shone through the stain-glassed windows with the multi-color rays tinted by smoke and dust in the air. I can still see the silhouettes of my grandfather and his bookie sitting across from one another at the table by the window in a mostly empty bar. But there’s one occasion I recall being at the pigeons after dark and in a crowded room, on the day after Thanksgiving when the sun sets early. I’ve never paid much attention to college football, but while waiting for another Coke at the bar, by chance I happened to look up at the tv to see Doug Flutie’s famous “Hail Mary” pass. There was some celebration among the assemblage of old men and I before they returned to their beers, and I returned to bowling. Unlike many places from my childhood for which I have fond memories, the Three Jolly Pigeons still survives in Bay Ridge. Reading the reviews online, it’s hailed as a great place to see rock bands and karaoke, two things I could never imagine in the Pigeons of my time. But I like to think that in the dying rays of afternoon sunlight, the old men still gather to nurse a quiet drink, confer with their bookie, and perhaps buy a Coke for their grandkids. * Seriously, this was decades before double-decker buses were used for sightseeing tours in New York City. If anyone could verify if and why these buses were in New York circa 1980-1984, I will love you forever. On Sunday, June 10th, my daughter Kay (a.k.a. “The Toothless Wonder”) and I rode in the Bikes Not Bombs 31st Annual Bike-A-Thon. The ride helps raise funds for Bikes Not Bombs’ social justice programs in Boston and abroad. We met our goal for fundraising (including for my son Peter who was not able to participate), but Bikes Not Bombs is still accepting donations if you wish to contribute. It was a beautiful day to ride, and except for the steep uphills right at the beginning, it was a terrific ride. Read about our previous Bike-A-Thons in 2011, 2013, 2015, 2016, and 2017. Coco is a delightful animated film by Pixar that weaves in the traditions of Día de los Muertos to a celebration of family and music. Miguel is boy in a family of shoemakers who loves the music of the local legend Ernesto de la Cruz, and wishes to pursue making music of his own. The problem is that his family has banned music for several generations after his great-great-grandmother and his great-grandmother Coco (then a child) were left behind by great-great-grandfather seeking a music career. What follows is a wonderful adventure where Miguel accidentally travels to the Land of the Dead (depicted humorously as a bureaucratic parallel to our own world). with the help of a bumbling skeleton named Hector, Miguel seeks to return to his own world and get his family’s blessing to play music, learning a lot about his family in the process. There are some unexpectedly dark parts to this film – maybe not what would scare a young child in a movie full of skeletons – but nonetheless very serious material for a family film. Visually it’s splendorous and I enjoy the wide ranges of expressions given to the skeleton’s bony faces. Definitely another terrific addition to the Pixar catalog. It’s once again time to get back in the saddle for one of my favorite events of the year, the Bikes Not Bombs Bike-A-Thon. collecting and renovating bicycles to ship to developing communities in Central America, the Caribbean and Africa. These bicycles help people meet crucial transportation needs with an easily maintained and environmentally friendly vehicle. help Boston youth develop confidence and leadership skills through programs focusing on urban bicycle riding and bicycle repair. I routinely get my bike repaired and by bicycle supplies at the Bikes Not Bombs shop in Jamaica Plain, and I’m always impressed by the positive impact they have in the community. Especially when I see young people out on their Boston By Foot group rides. Donate now at our Bike-A-Thon page. OR, sign up at Bikes Not Bombs to ride with us on June 10th! Cheer us on during the ride or post an encouraging comment! This is our sixth time participating. Read about our previous Bike-A-Thons in 2011, 2013, 2015, 2016, and 2017. My son encouraged be to binge watch this Nickelodeon tv series about a family of foster children in Amsterdam who solve mysteries in Amsterdam. As a child of the 80s, I can’t help be reminded of “The Bloodhound Gang.” The mystery of “Hunter Street” is leavened by cornball comedy. I think if you just read the script it wouldn’t really seem all to well written, but the kids in the cast of this show just ooze charm and are eminently lovable. Plus every episode ends on a massive cliffhanger so you just have to keep watching. We’re going to have to track down season one now that we’ve finished this binge. I find it curious that although everyone involved in creating this show is from the Netherlands and the show is clearly set in Amsterdam, they went to a lot of effort to make the show for “export.” The characters all speak English even when it would make sense for them to speak Dutch, the kids wear bike helmets, the police read a Miranda warning, and a thermostat shows the temperature in Fahrenheit. “Hunter Street” is good family television. Check it out. 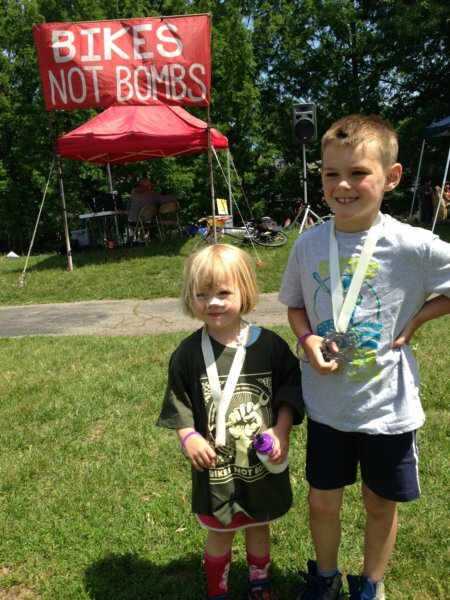 On Sunday, June 4, I will be riding with my kids Kay and Peter in the Bikes Not Bombs Bike-A-Thon! The Bike-A-Thon is always a fun event and it raise money for a terrific cause. This will be our fifth time participating. Based in Boston not far from where we live, Bikes Not Bombs serves two great purposes. First they collect and renovate bicycles to ship to developing communities in Central America, the Carribean and Africa. These bicycles help people meet crucial transportation needs with an easily maintained and environmentally friendly vehicle. Secondly, they help youth right here in Boston learn skills such as urban bike riding and bicycle repair that contributes to building their confidence and leadership skills. Please help us in our efforts by making a generous donation! OR, sign up at Bikes Not Bombs to ride with us on June 5th! Read about our previous Bike-A-Thons in 2011, 2013, 2015, and 2016. The severity of the German u-boat campaign on American ships in the Atlantic and Gulf of Mexico in the early days of World War II is often overlooked. Tougias and O’Leary tell that history through the story of the Downs family of Texas as they sail on the cargo ship Heredia from Costa Rica to New Orleans. The ship is destroyed by torpedoes on the May 19, 1942, and the Downs family are separated in the wreck, each having their own survival journey along with some members of the crew. It’s a very gripping tale, but Tougias and O’Leary have a bigger story to tell based on the records of u-boat captains and the crews who were big heroes in Nazi Germany. This means that the Downs’ story is broken up by long sections about the u-boat warfare in general and the experiences of their crew. Perhaps the Downs’ story was too thin to make a book of its own, but the approach taken here makes the narrative very uneven. Nevertheless, it is an interesting glimpse into an overlooked period in American history.